Nestled within the town of Northleach in the Cotswolds there is a surprising and unique museum which we happened to come across on our travels. The Museum in question is Keith Harding’s World of Mechanical Music which showcases an eclectic variety of self-playing musical instruments and automata many of which predate the emergence of regular broadcasting that started in 1924. Attached to the museum are workshops that preserve and restore the instruments to the best possible order. They are in such good condition that most can be and are still played by the museum guides for the enjoyment of visitors. Indeed the museum holds some very rare copies of archive recordings which they play on the various historical machines and the guides are very knowledgeable about the history of the devices and talk you through the key moments of the evolution of mechanical music. 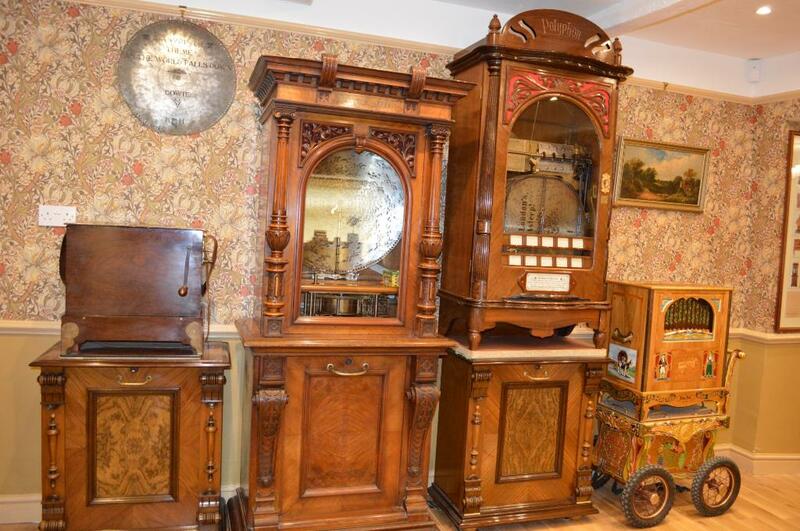 The tour itself lasts one hour which initially may seem excessive for the modest size of the room which houses the works but the engaging an enthralling history and stories attached to the items leave visitors wanting more. Before the commonly known disc records there existed another commercial medium for commercially recording and reproducing sound. 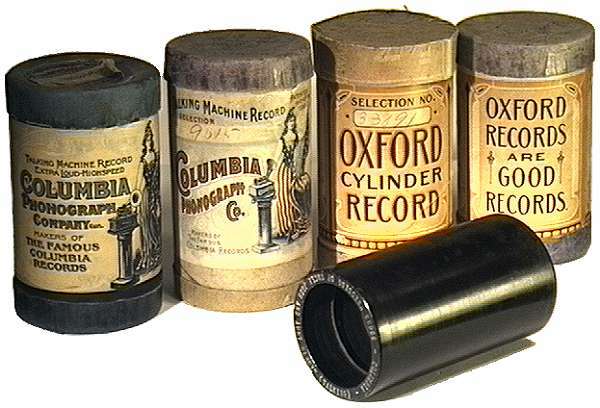 These were hollow cylindrical objects made from celluloid that could be played on mechanical cylinder phonographs. Prior to digital audio, these cylinders were the most durable form of sound recording. In fact they surpassed the both vinyl records and audio cassettes in both durability and quality of sound. So why did it not survive the test of time? The answer is it suffered from two things: Firstly, a barrage of legal actions brought by Thomas Edison against the Lambert Company (the major commercial distributer) for patent infringement put the company out of business. Secondly, the major competing disc companies had superior advertising and marketing techniques, most notably Victor Talking Machine Company in the USA and the Gramophone Company/HMV in the commonwealth. In 1929 the production of cylinders for the commercial market came to an an end. However, recently, the manufacturing of cylinders on a small scale has been taken up by organisations such as The Vulcan Cylinder Record Company of Sheffield (http://www.phonographcylinders.com/) and The Wizard Record Company in New York (http://www.capsnews.org/apn2008-6.htm) . Perhaps there will soon be a revival of cylinders for music aficionados similar to the trendy resurgence of vinyl and audio cassettes. The Mechanical Museum has quite a few of these cylinders in great condition and it is still possible to hear them on their phonographs during the tour. These large disc playing musical devices were first invented in 1870. Polyphon Musikwerke in Leipzig, Germany started manufacturing them on a large scale around 1897 and distributed them around the world. This disc was commissioned for the movie The Labyrinth and on it is David Bowie’s ‘As the world falls down’. The craftsmen at the museum were wise enough to make two copies of the disc and if you look for it, you can see the one they kept hanging on the wall in the room in the photo next to the Polyphon.